Weight: 23ml / 0.67 Fl. Oz. Gripes: Contains alcohol, stings my skin a little!! 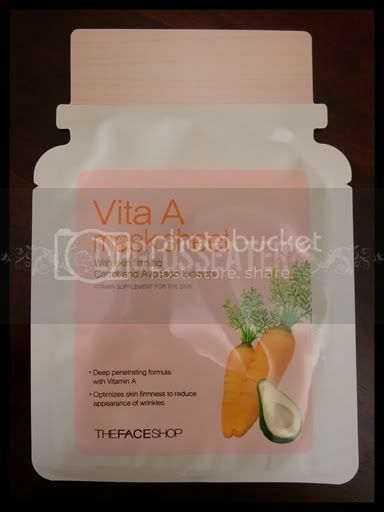 With skin firming Carrot and Avocado extracts. 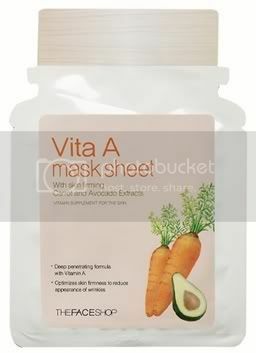 Formulated with Vitamin A and extracts of Carrot and Avocado, this vitamin drenched mask sheet helps revitalize and optimize skin's firmness. 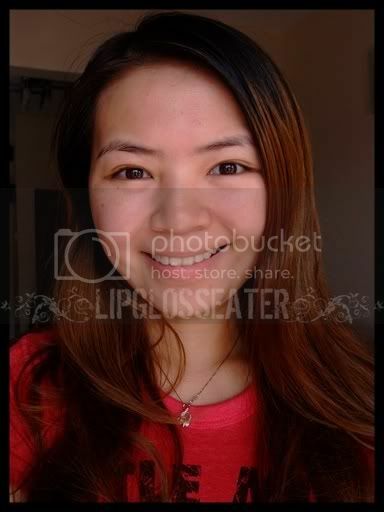 Vitamin A firms the skin and accelerates skin cell turnover to reduce the appearance of wrinkles. Patented Phytolex Nanoliposome effectively delivers beneficial ingredients deep into the skin and helps protect tired, rough skin from environmental damages. Phytolex Nanoliposome is a composite of Ceramide and natural plant extracts of Mung Bean, White Birch and Rumex Crispus L.
This mask is really wet, so you're getting your money's worth of essence in this mask! :D The essence sinks into the skin almost immediately after you massage it in, and it leaves so sticky feel after! 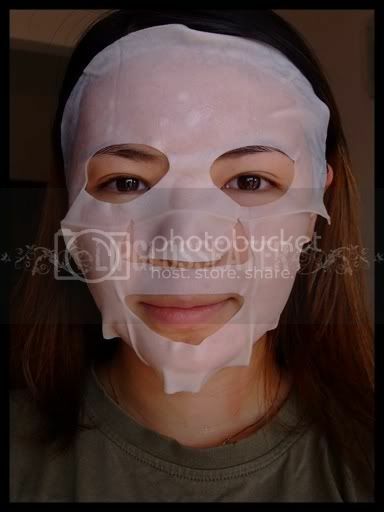 This mask is priced at RM9.90 each and is available at all The Face Shop outlets. Unfortunately, alcohol is the third ingredient in this mask! I also experienced some mild stinging at the beginning. Usually i'm ok with some stinging, but I'm not sure if i'm willing to risk breakouts by using an alcohol-laden product often. Hence, I won't be repurchasing this mask (which is quite a shame, because I happen to really love the effect it has on my skin!!). I want to try this but it broke a few friends out. Now you make me want to try again! Hey thanks for the review! I found your website to be very useful as you not only provides review of the product, as well as the ingredient list! But may I ask why do u say you are not going to purchase the product becos of its alcohol content? what will alcohol do to our face? enlighten me on this please! thanks~!